Apple used to be locked into a certain pattern when it came to product releases. Starting with the return of Steve Jobs and the release of the iMac, Apple’s marketing became largely event-driven. New top of the line hardware was unveiled two to four times per year, and they always revolved around events. Even releases that didn’t make the stage would often be tied to the timing of the nearest event. However, the last couple of years have seen Apple become a little more flexible about releases. Now, smaller changes and additions are being interspersed throughout the product cycles of various lines, along with notable iOS feature additions. As with the new additions this week, some of these changes are now being released without the fanfare of an event. Google’s Android has always been viewed as a more nimble platform in comparison with iOS. Also, Android device manufacturers have always kept up a more brisk pace of device releases than Apple, with a steady stream covering all sizes and price points hitting the market to keep cell carriers inventories full. However, a funny thing has happened as the years have rolled on. Most of the prime Android manufacturers, such as Samsung, LG, and HTC, have slowed their pace in the mid-range, and now keep to one or two top-tier device releases per year. Samsung definitely got the message that cultivating a brand and emphasizing a few high-end phones like Apple does was the way to go, and have run away as the most profitable Android manufacturer. Now we have Apple making changes to the iPhone lineup mid-cycle two years in a row. While the SE was a second-tier device to the iPhone 6S, its release signaled a shift in Apple’s handling of the iPhone and how it looks at its customer’s interests. The iPhone 5C had been Apple’s first attempt at a second-tier offering, but the brightly-colored plastic shells, larger size, and lesser specs didn’t have the expected impact. Last year, Apple made a smart decision taking a design that had proven popular, had a more premium look and feel, and that they already had the equipment to make effeciently, and simply upgraded it to the latest specs. A year later, the SE is still selling well and is a great option for those users looking for a less expensive phone, or who don’t want a larger device. My wife has one and absolutely loves it. This week we have Apple giving the SE a bit of a bump from 16 GB and 64 GB options to 32 GB and 128 GB. For several years now, 16 GB has been recognized as too cramped for anything beyond basic use. As such, the bump up to 32 GB for the base model SE is a great step, especially at the same base price of $399. This memory bump and Apple’s increasing flexibility with releases and the iPhone product line itself are both good signs for the future popularity of the platform. 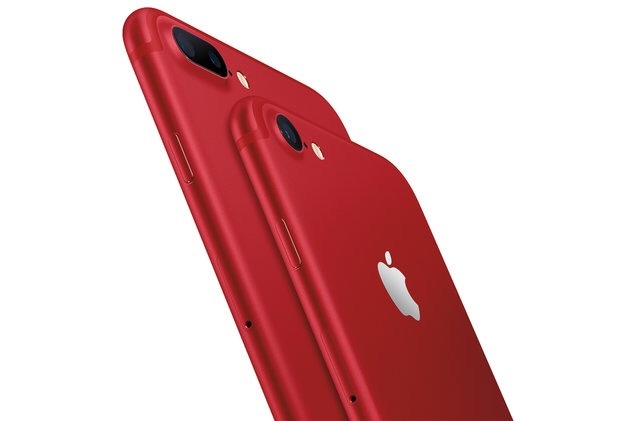 Another item of note from this week is the new Product (Red) iPhone 7 and 7 Plus. Apple is certainly no stranger to Product (Red), as they have released several iPod models and cases in the past. However, this is the first time that (Red) has come to the iPhone lineup. Considering that the iPhone is currently Apple’s primary money-making product, and the iPhones 7 and 7 Plus are currently the state of the art in that line, this move says a lot about Apple’s commitment to social consciousness and causes that they are interested in. I don’t mean to minimize the important purpose of promoting and funding AIDS research behind Product (Red), but beyond that, this phone looks really sharp. Other than the brief detour of the 5C, the Apple has stuck with neutral or metalic colors on the iPhone to this point. The (Red) model is the first metal-body iPhone to come in such a color, and it really pops. There have been some media complaints about Apple’s choice of a white front, rather than red or black. Personally, I think white is the better option, but this is just my subjective choice. However, as much as Apple values the perception of the iPhone brand, I am quite sure that they did their homework before making this choice. A few spoiled tech writers and bloggers aside, this model will likely sell very well. As with the memory bump for the SE, the most notable thing about this new iPhone color is its time of arrival. It was one thing for Apple to release the iPhone SE as a separate line last year, but it is someting new for them to release a new color for their top of the line phone mid-cycle. This is another positive sign of a more flexible Apple that is responsive to what customers want, and isn’t anchored to a rigid event-driven release schedule. Those events are great to make a big splash when warranted, but its good to see Apple branching out from relying on them for EVERY release. I hope they continue with this philosophy into the future and deliver innovation year round.